As Google recently announced their plans to move in the home automation world with Android at home (and we are still wondering why they waited so long to do it), I thought I would share my view on that. I do believe there are many opportunities ahead for the “home operating system” domain. The combination of cheap, yet powerful networked digital appliances in the house (NAS, networked media players, WiFi routers, etc) along with an extensible application framework, and a market place for buying new applications (or installing drivers, etc) – will be a killer combo for home automation to take off, especially for building management systems (I’m not yet convinced the market is ready for consumer home automation – unless you’re millionaire and want to show off by turning off lights by clapping hands). But I do believe the Web of Things in this vision can be a solid innovation enabler by making it easy to integrate all kinds of devices and develop new home automation mashlets (mashup & applets – does this even exist? 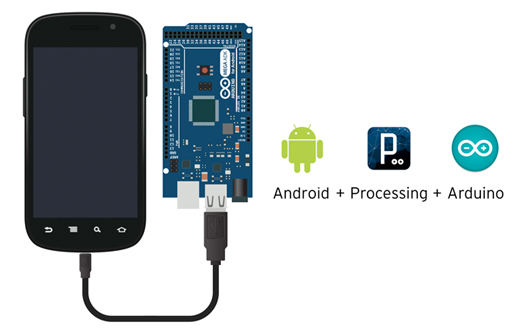 or should we call these phy-ma-les = PHYsical MAshup appLEtS? no? ok…. fine…). But for this to happen, “we need a hub to receive all the sensors” according to a recent blog post. I disagree. We don’t need one hub, we need many hubs. But even more so, we need the ability to establish direct connectivity between anything electronic and applications. Exactly in the same way as one can search and download specific stuff from particular users that have it in a p2p network. We have been exploring the field of home automation since the early days of WoT, and we have prototyped several versions of a fully web-based “smart home gateways” that allows the integration of heterogeneous embedded devices into high-level interactive, mobile, and event-driven Web applications. Our first iteration was built with Samuel Wieland [4,5] project, and then superseded by Aparat [3,6], done by another former student Vlatko Davidovski with whom we designed a modular framework (based on OSGi) to easily create applications, develop new devices drivers, that supported Web-based messaging (both pubsubhubbub and Comet), microformat-based resource and device discovery over HTTP, among other features. With another student (Andreas Kamilaris) we have designed in 2009 HomeWeb, a Web-based framework for integrating sensor networks on the Web and afterwards extended it to the home automation domain . We also recently published a journal paper on this work as well . As we’re nearing to IPv6 (dooms)day (actually passed it), more and more routers and networks will be switching (or at least supporting) it, and this will pave the way to better adoption and ripening of the market for Wi-Fi and other IP-enabled consumer electronics. 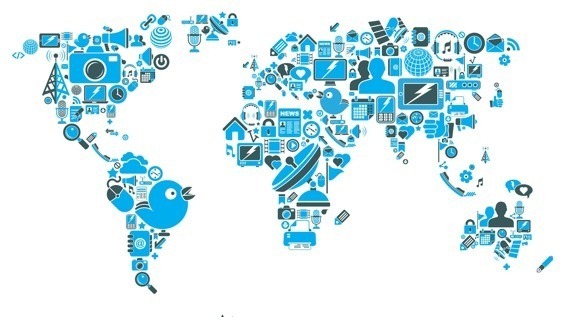 On top of this ecosystem of interconnected devices, a Web-based framework that facilitates development and distribution of applications will clearly unlock the potentials and an open market that drive us away from the currently dictatorial and closed solutions in this domain. At least this is what we hope for. Clearly, the biggest challenge ahead (and one that I keep seeing only marginally addressed in our research field so far) is security, authentication, and devices sharing. If your whole house is connected to the Web, there are major risks involved as virtually one could entirely control your house (turn off security systems), spy by monitoring all your movements (or hot summer nights via surveillance cameras), or do even more critical things such as lock elevators, close doors, and so on. The security issue leads us to the following question as to what would be best? An open source security solution that everyone knows and can improve upon by eliminate bugs (thousands pair of eyes are better than a few), with the risk that any hacker can find out exactly how the whole system works? Or a black-box proprietary closed-source system that is hard to analyze and crack, which might be in fact more bugged? Also, how one can combine various modalities for securing that you are really “you” and you are at your home (RFID can hacked, mobile phones can be lost, pin codes can be transmitted). Also, what will be the role of biometric ID solutions (retina scanners, etc)? As long as authentication data is sent by an application over the network, then it can be forged with another “software emulation”, how this could be prevented? We would love to have your opinion on these questions and feel free to join our discussion in the comments (or on our LinkedIn or facebook pages). We’d really appreciate if you would share with us projects and services that you think can solve this issue. Vlatko Davidovski (M.Sc. thesis at ETH Zurich). A Web-oriented Infrastructure for Interacting with Digitally Augmented Environments. Samuel Wieland (M.Sc. thesis at ETH Zurich). 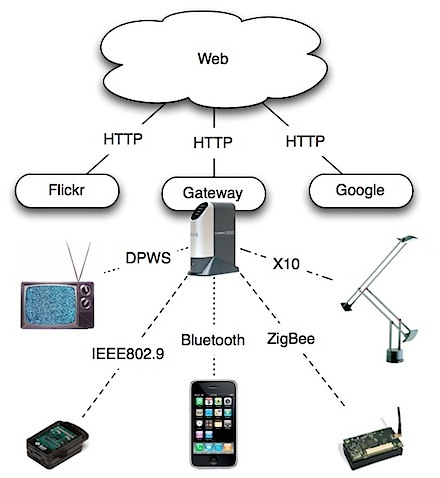 Design and Implementation of a Gateway for Web-based Interaction and Management of Embedded Devices.